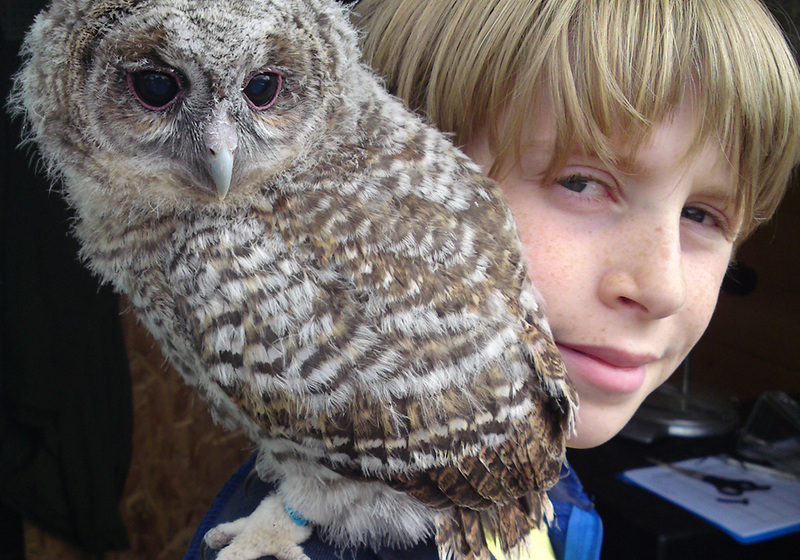 Spend time learning all about owls, what they eat, how they hunt and what makes then so amazing. Feathers and Fur is pleased to introduce our new Educational Owl Hour. Specially aimed at those aged between 6 and 15 years the Owl Hour is a wonderfully unique educational session. Owls have throughout history held a magical wing over man, whether it be in the relationship between Goddess and Owl or in the idea that they are the indicator of death. Feathers and Fur wants to take this magic and open it up to show all. 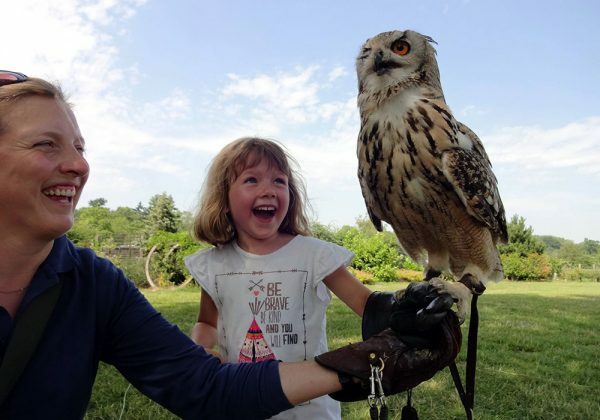 Can an Owl really turn its head all the way around? 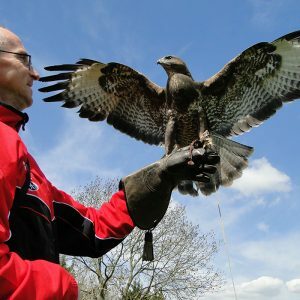 How does it fly so silently? What makes them such a deadly and efficient hunter? The 1-hour sessions are held on-site in our teaching area. Group sizes are kept to a maximum of six children with just 1 adult spectator, there is no charge for the adult spectator. 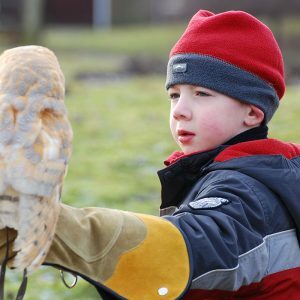 Children are encouraged to look in detail at feathers and castings, plus they will have the opportunity to handle one of our Owl team members who include Bert or Bailey the Barn Owls or Pip the Little Owl. Spectators can take photos throughout the session of their child and share in the magic of Owls. When do the Educational Owl Hours take place? These sessions will take place Tuesday – Friday in the school holidays only. Vouchers are available as gifts and are currently sent as email vouchers. The gift voucher have a 1 year validity allowing the recipient to book a date when they are ready. 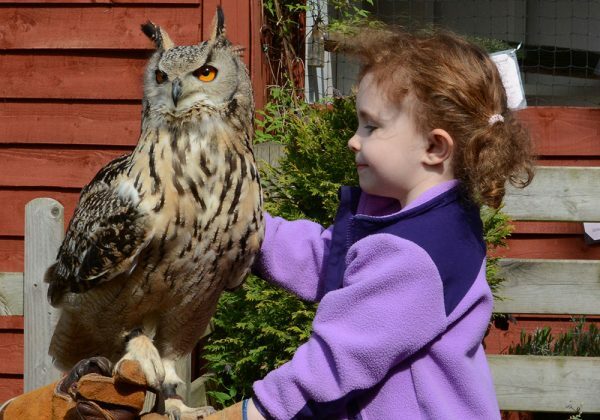 If you would like to book an Educational Owl Hour for a group of children, for instance as an alternative Birthday Party please call or email to discuss numbers and cost. How many people per session? A maximum of 6 children per group plus 1 spectator per voucher. Can I book more than one space? Yes, however the maximum children in a session is 6. I already have a gift voucher, how do I book my date? 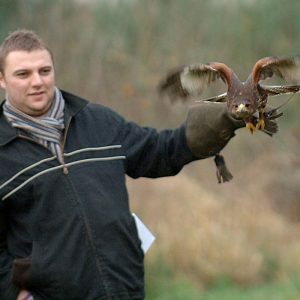 Simply contact the booking team via email at info@feathersandfur.co.uk or call 07812171709. Do the children need any special clothing and footwear? Yes we will be out side so please dress appropriately for the weather. Is the session weather dependant? No, we have a class room we can use if the weather is poor. Can I be a spectator? Yes, 1 parent must attend the session per voucher unless you are bringing multiple children then you are in charge of your group of children. 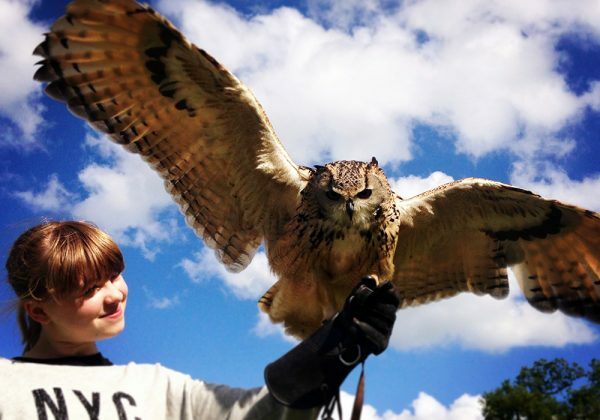 Daniel had a wonderful time today visiting your beautiful and well cared for owls on his Educational Owl Hour, the falconer was very friendly and knowledgeable. We would definitely recommend you to others!